ORIGIN: ElDorado Bar, Montana, U.S.A. 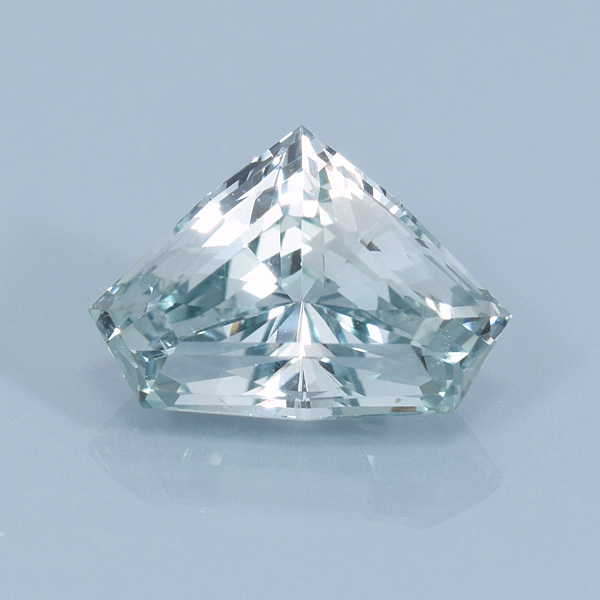 COMMENTS: A spectacular untreated sapphire that sometimes looks more green, sometimes more blue and sometimes more grayish or silvery. I cut this one in a one-of-a-kind sort of split sided superman logo shape to fit the shape of the rough stone.